The Emerson String Quartet, one of America’s iconic quartets, is coming back for Chamber Music Northwest’s summer festival on July 15-17 at Reed College with a three-concert program called “Passing the Torch.” This is the Quartet’s 39th season, all with the same personnel until three years ago, when cellist David Finckel left the Quartet and was replaced by Paul Watkins. Artswatch talked with Emerson violist Lawrence Dutton about matters of sound, blend, and the body, and how the eminent Emerson is passing the torch to some dynamic young groups. No viola jokes this time, only admiration and affection. The viola has a wonderful mellow sound. What would you say is the viola’s role in the string quartet? Oh boy, how to answer this question! If you think about how this instrument was developed, the violin emerged in the early days, and then, out of all the gambas, the cello became the bass instrument. The viola is really the bridge from the violins to the cello. We are only a fifth lower than the violin, but we are tuned an octave above the cello. In many ways what we do is like the violin, but the sound production relates more to the cello, so we try to fill out that middle range. It’s a distinctive sound. 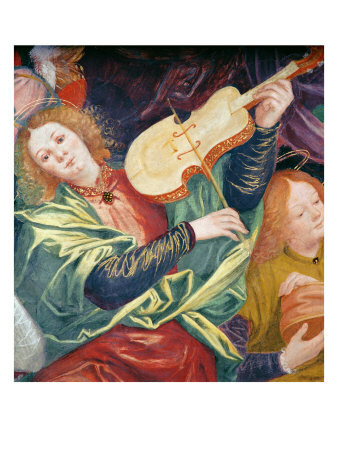 To be truly in the middle, the viola would have to be a very large instrument. You wouldn’t even be able to hold it. Fortunately, they began to make smaller ones that can do the job. I played a very large viola for a long time. That was part of my search for trying to sound like a cello. Playing a larger viola you get a richer, darker sound, but you pay for it in the end: I had to have rotator cuff surgery. So, I switched to a smaller instrument. But the viola I play now is still relatively large by most standards. A lot of the great composers loved the viola—especially Mozart, but also Beethoven and Brahms. It’s a very vocal sound, like the clarinet. People don’t realize that the viola has the same range as the clarinet. That’s why Brahms could arrange his two clarinet sonatas for the viola and that works quite nicely. I always like to hear the viola clearly in a string quartet. I’ve never liked string quartets where the viola isn’t strong enough. It’s as if there’s something missing. And I don’t mean to knock symphonic music, but the chamber music parts for viola are so much more interesting. Some of my favorite music is viola quintets. When you add a second viola to a quartet it frees up the first viola to have an even more solo-istic role, to be a clearer voice, not just in the background. The Mozart viola quintets are spectacular, and the Brahms are great. They’re magnificent, they really are! Mendelssohn wrote two wonderful ones, and I even like the Brückner viola quintet. Tell us about this “Passing the Torch” program. Who is passing the torch to whom? We did this same three-concert program at Lincoln Center earlier this year. It was about the great Haydn, inventor of the string quartet, and his effects on early Beethoven. Haydn’s Opus 76 and the Opus 18 of Beethoven were written within only four years of each other. There was an amazing transfer going on from Papa Haydn to the young Beethoven, who took the string quartet, tweaked it, and took it to a new level. Then he continued to do that through his middle and late quartets. Beethoven influenced everybody. For our 30th anniversary, Carnegie Hall asked us do a “perspective” series. So we did a program on the Beethoven quartets and the profound influences they had on other composers. The Romantic composers, Mendelssohn, Brahms, and Schumann, were all intimidated by what Beethoven could do. With Beethoven the quartet had gone to the highest level, and it took a long time before people could even have a new say, a new perspective on the string quartet. It took until Bartok and Shostakovich and the Second Viennese School for the next major change, and really, the Second Viennese school comes straight out of Beethoven’s language. But Bartok developed a whole new soundscape and took the string quartet to another new level. The Emerson as mentors, are they like Papa Haydn this respect — passing the torch to younger quartets? It’s a funny thing, in our early years I remember very clearly when the critics were talking about the “young” Emerson Quartet, and then there’s one day when they didn’t say that anymore. Now I kind of wish they would say it! Our mentors we’re the Guarneri and the Juilliard quartets. It’s a wonderful lineage, and we hope that it will just keep continuing as we mentor younger quartets and they mentor others. We’ve worked with a lot of quartets over the years that are now very successful: Pacifica, Artemis, Ying, St. Lawrence, and it just goes on. The Pacifica is now in residence at Indiana University, the Ying at the Eastman School of Music, the St. Lawrence at Stanford, and the Artemis is now one of the major quartets in Europe. Our most recent young quartet, the Calidore Quartet won a huge prize from the University of Michigan. They’ve also had other successes and have become part of Chamber Music Society II, the program for outstanding young artists at Lincoln Center. Most quartets sit while they play. Why does the Emerson stand (except for the cellist, of course)? I have a joke about that. We sat for the first 25 years, we’re standing for the second 25, and we’re going to lie down for the last 25 (if we get that far). Several years ago we had talked about standing up during a period when we were performing a series of concerts on the three pillars of chamber music—Haydn, Beethoven, and Bartok. The violins were working very hard, especially during the Haydn. So we started to think about it this way: When you play solo you stand. You use your legs. It helps your balance while you’re holding the instrument. Standing works particularly well when you’re playing in the big halls like Carnegie because you project better to the audience. But the change actually took place in the year 2000 when we were working with the British Director, Simon McBurney and several actors on a theater piece called “The Noise of Time.” It was a performance of the 15 Shostakovich quartets. We were walking around the stage, playing the quartets from memory, and it was very freeing compared to sitting all the time. It worked really great. We did that program all over the world: London, Berlin, Moscow, and Vienna, and after that we kept standing. When you mentor string quartets do you talk about the role of the body, how to prevent injuries, and how to take care of yourself? Yes, there’s a lot of wear and tear on our bodies. Holding up that viola for long periods of time is not easy. Cellists have problems with their backs. I don’t think there’s any musician that doesn’t have some kind of issue at some point in their life. We are athletes and we have to treat ourselves like athletes. As I’ve gotten older, I’ve figured out how to be more efficient in what I’m doing. It took me a while to get to that point. But you need to figure this out when you’re young, too, and I tell that to my students. 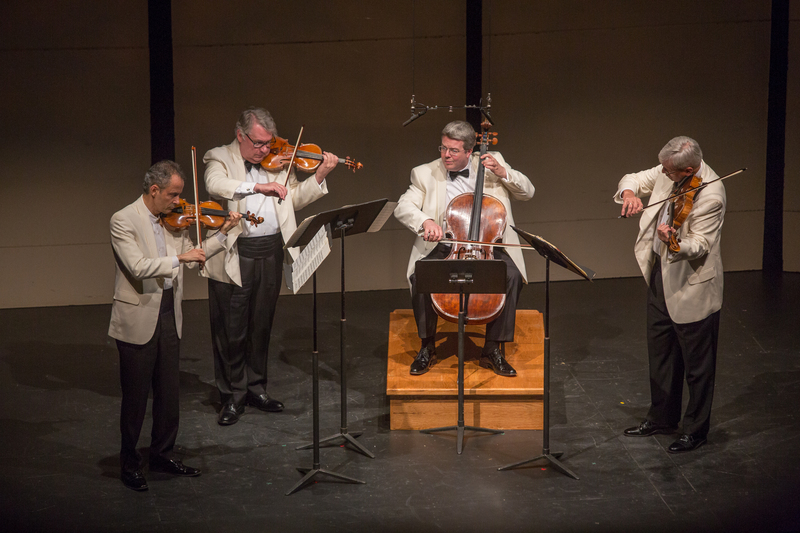 It takes a long time for a quartet to figure out how to blend, to draw the bow in a similar fashion at a similar speed, matching up with the speed and the vibrato of the other members. (I’m talking about blending here, not about sounding as one unit like in a chorale.) It’s important to be able to have a good blend, but that’s not all that interesting. The music needs the right combination of togetherness and individual voices. if you want sounds to emerge, you have to be doing something different, something more soloistic. For example, in a Beethoven Quartet, things are being passed around all the time. Everybody has the moment where they have to project that part of the phrase, and then it’s passed on to the next instrument. That’s the beauty of it. It’s not just one person playing a solo and everyone else playing the accompaniment. I teach students that they need to fine-tune their tools—mostly the bow, but also the vibrato. I’m always telling them you’ve got to listen to great singing. You’ve got to be able to make a kind of sound that has a vocal quality. I’ve played next to Renée Fleming and it’s unbelievable. Her vibrato just blows you away. That’s the role model for a violist, try to sound like a singer. Paul Watkins has been a real catalyst. He’s just spectacular. Of course 34 years with David was marvelous. We did a lot. But Paul is younger than we are, and he’s an amazing all-around musician, a great pianist and conductor as well as a terrific cellist. The string quartet’s sound is really built from the bottom up, from the foundation, and Paul’s cello changes the sound of the Quartet in a big way. Paul is coming out of the tradition of Mischa Schneider, cellist of the old Budapest Quartet, and also David Soyer of the Guarneri Quartet. It’s a more bassy sound. It gives a great cushion to the other instruments, particularly the violins, and it’s wonderful. 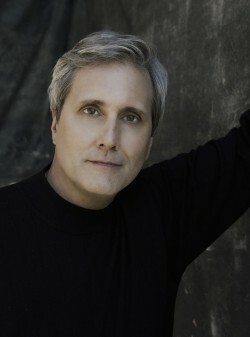 There’s the recent collaboration on a CD with Renée Fleming. Any more plans for something like that? Deutsche Gramophone is just about to release a 52-CD set of the complete works of our Quartet. So that’s pretty exciting! The last CD in that set is the one we did with Renée, and we’re hoping that someone else will compose some music like that for soprano and string quartet. In the fall we’re taking the music from that CD on the road, to Tanglewood and Disney Hall. Then we hope to do three more CDs, which will include a British album of Benjamin Britten, Purcell and others. Alice Hardesty is a Portland writer and chamber music aficionado. Her new book, An Uncommon Cancer Journey: The Cosmic Kick that Healed Our Lives, was recently published by Bacho Press.